Each week we will be giving away gift certificates from our sponsors. If your question is selected as WineGuyMike’s™ topic of discussion you will win one of the $20.00 – $25.00 gift certificates. Good luck and send your questions to WineGuyMike™ on his Facebook fan page or on Twitter @WineGuyMike. This week WineGuyMike™ received a great question from Diane, and here it is. Q. Diane Hill Larango asks; What can you tell me about Vouvray Wine? A. WineGuyMike’s™ answer; Well Diane I can tell you that Vouvray is one of my favorite white wines. Next I’m going to break this down into a profile of sorts so that as a consumer you can actually find value in my answer to you. What is Vouvray? Vouvray (voo vray) is a town located near the city of Tours in one of the most recognized wine growing areas of France, the Loire Valley. 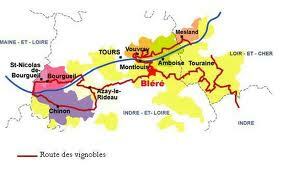 This specific area we are discussing, Vouvray, which is located in the central Loire Valley. Vouvray – this wine may be dry, fairly sweet to sweet depending how it is made. This wine is from the Chenin Blanc grape. Vouvray is produced in three different styles; dry (Sec), medium-dry (Demi-Sec), sweet (Moelleux, m wah leuh), or as a sparkling wine. Old World winemakers ferment their wines at a higher temperature and age their Chenin Blanc wines in acacia and chestnut barrels. This gives them a well rounded wine with a more desirable depth of color to their wine. On the other hand the New World winemaker will use steel tanks for fermenting and aging to preserve the crispiness, acid, and fruitiness that is delivered using this winemaking style. Weather has a huge influence in the type of wines that are produced in Vouvray from year to year. Cool years produce vintages of dry or sparkling wines, while warm years produce vintages of sweet (Moelleux, m wah leuh). The wines of Vouvray are naturally high in acid and may be aged in some cases up to 100 years. When we think of terrior the soils in Vouvray consist of calcareous clay which produces Chenin Blanc wines that are rounded and balanced in terms of weight and acid. Almost all vineyards are planted on sloped plateau with southern exposure next to the streams that run through the area. This combination lends itself to ideal growing conditions for the Chenin Blanc grapes of Vouvray. Chenin Blanc is often described as having a taste profile driven by minerality, greengage, angelica, and honey. 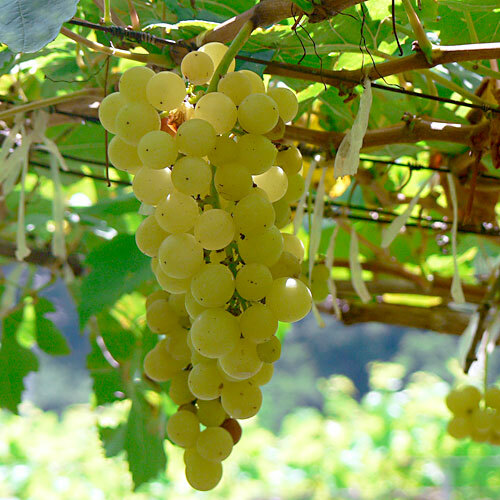 A late harvest or Noble Rot style Chenin Blanc wine produces nuances of peach and honey, as they age though the depth of the wine increases and notes of barley sugar, marzipan, and aroma of quince become evident. The dry or semi-sweet styles of Chenin Blanc exhibit flavors of chalky minerality, honey, quince, and acacia. New World winemaking styles with Chenin Blanc produce wines that exhibit notes of tropical fruit that are very aromatic and fruit driven. Notes of banana, pear, guava, and pineapple are prevalent in this New World style of Chenin Blanc. This week WineGuyMike™ recommends the Insalata Mista house salad with a refreshing glass of the Hogue 08’ Riesling from the Columbia Valley in Washington State. During the grape growing season, Eastern Washington boasts warm summer days followed by cool nights, ensuring that grapes ripen fully while retaining ample natural acidity. Even ripening gives Washington Riesling its trademark apricot and tangerine flavors. The Hogue Riesling has fragrant aromas of apricot, peach, melon, lemon-lime, and a drizzle of honey. The flavors are a delicate blend of apricot and tangerine, with a pleasing mineral edge and crisp, refreshing acidity. Slightly sweet, this is the wine to serve with fresh spring rolls, spicy ahi curries or grilled halibut. Unlike many white wines, Rieslings can evolve and develop complexity with age. This vintage will continue to delight for three to five years if carefully cellared. This is a light lunch that is full of flavor and satisfying at the same time. This lunch combo won’t break the bank either. So as Brett says “Eat Like You Mean It”, Ciao Mambo on the Hip Strip in Missoula. Ciao Mambo is open at 11:30 for lunches daily now too. This wine and food combo receives The WineGuyMike™ Seal of Approval©. Thank you for being a Fan and please support our Sponsor Ciao Mambo. This week WineGuyMike™ received some great questions, and here they are. Q. Kathleen Graler asks; I have a question for a future show. I don’t understand why some wineries or wine clubs will ship wine to Montana but most of them won’t. I belong to a wine club that will ship, but many of the others I’ve tried say they can’t ship to Montana. If I am at a winery in person they will ship, but if I call or try to order online, the answer is usually NO. Why the differences in clubs/wineries?? I look forward to an answer. A. WineGuyMike’s™ answer; What a great question Kathleen, shipping wine is a huge battle at the state level nationwide. One of my Fans last week asked about the lack of ability to consistently find wines in different locations when she travels and this has to do with authorization and allocation. Each state that a wine is sold in the wine has been authorized by that state in order to be distributed to and sold by the retailer. There is an exception to the state law whereby an individual can apply for a “connoisseur’s license” for a fee of $50.00 per year. This allows you to receive up to 12 cases of wine a year. Here’s the sticking point though, the winery that ships the wine has to verify the current authenticity of your license. Most wineries do not want to bother doing this though. I did find a wine club that claims they can ship to every state in the U.S. except Utah. They claim they can do this because they work with a licensed freight forwarder and when the wine is delivered it would need to be signed for by someone 21yrs. or older. From my somewhat limited knowledge in this area I do not believe this is really legal here in Montana without the so called “connoisseur’s license”. Illegal wine shipping is what was referred to during Prohibition as bootlegging and it is really being cracked down on. It is not advisable to participate in wine shipping without the “connoisseur’s license” even if some wineries are willing to take that chance. Q. Nora McDougall asks; What would you suggest when a recipe calls for dry red wine? A. WineGuyMike’s™ answer; Red wines are rich, robust, and flavorful. Tannin is foremost in creating flavor in red wines. Stems, skins, and seeds is what tannin comes from. The wine color comes from the grape skins. To most wine drinkers a dry wine is a result of tannin and a low residual sugar. Red wines have more naturally occurring tannin than white wines and are generally lower in naturally occurring sugar. I chose these two wine types or varietals as they are usually medium bodied and perceived as dry due to tannins common to these grapes. I find that wines that are too full bodied and robust can overpower a dish, even to cook with. One word Chianti, probably the most well known of Italian wines (at least that holds true in the United States). This grape is also the major contributor for many other fantastic Italian reds. This spicy medium bodied red is high in tannin and exhibits cherry and raspberry flavors. This would be considered dry. Malbec is one of Argentina’s finest! These wines are fruit forward, flamboyant red, spicy, and tannic. This varietal could be considered to be on the dry side. Q. Jo Jorgenson asks; I am planning a trip to Washington (Walla Walla) for a wine tour….when is the best time to go? A. WineGuyMike’s™ answer; Jo there is never really a bad time to visit a winery but a few of my favorite times are mid-summer when the vines are fully leaved and heavy laden with grape clusters. Probably the most exciting time to be at a winery is in early October during what is known as “crush”. This is when the grapes are picked at the premium moment and then begin their journey to becoming a bottle of wine. It is also fun to visit a winery during holidays. wineries typically have special events happening that coincide with that specific holiday. Do call ahead though as many boutique wineries are small and may close up for the holiday. This week WineGuyMike™ recommends one of the Panini sandwiches, there are five different ones to choose from. 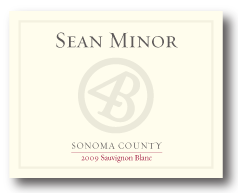 Try a nice glass of the 4 Bears 09’ Sauvignon Blanc from Sonoma, that lunch combo will satisfy your taste buds. The 4 Bears Sauvignon Blanc is rich and complex with aromas of pears, ruby grapefruit and tropical fruit. Flavors of pears, fig and melon are balanced and crisp, a nice mouthwatering texture and a lingering and refreshing finish. As Brett says “Eat Like You Mean It”, Ciao Mambo on the Hip Strip in Missoula. Check this out Ciao Mambo is open at 11:30 for lunches daily now too. This week WineGuyMike™ received some great questions and the two that I’m going to address come from Jay Steen and Jo Jorgenson. A. WineGuyMike’s™ answer; Jay I went wine shopping a couple of times after receiving your question. I really appreciate your question and comments and am sympathetic to your hectic schedule; I too keep a crazy schedule. I’m sure there are many moms out there that can totally identify with your with your dilemma. Let’s start off with an explanation of how the wine aisles are set. A decade ago when you approached a wine aisle all wines were grouped together by brand name. Gallo decided it was not beneficial for their brand to be set on the shelf that way. They went to the major retailers and literally had all shelves reset by wine type or varietal. This is why you’ll find all the Cabernet’s, Pinot Noir’s, or Chardonnay’s together on a shelf. The only exceptions are the foreign wines which are grouped together by country. This is due to the fact that many French wines for example are blended wines or Spain’s and Italy’s varietals are typically different than what is grown here in the United States. Price of wines dictates where the wines are set within their particular wine type or varietal section. The lowest price wines are near the floor of your favorite grocery store and the highest priced bottles are on the top shelf. The only caveat to this is the infamous aisle end cap, if you want to move product this is where you want to be. This is the space from which vendors showcase their sale items, special value wines, or new items. I find that I usually do not my select my wine finds from the end cap, that doesn’t mean that I don’t scan those end caps because sometimes there is a great value wine set there. It seems that I end up, in the grocery store that is, purchasing from the second or third shelf from the top. I’ll bet that this is very consistent amongst most consumers; you don’t have to reach or bend while selecting a wine. What I really recommend Jay as time permits check in on WineGuyMike’s™ blog as I will be focusing more on Terrior. I want to share with my Fans about the wine types or varietals they enjoy from all the regions around the world. If you understand nuances of wine types, and you have knowledge of Terrior you will then understand what you should be able to expect from wines from your favorite regions around the world. I hope you find this helpful the next time you go wine shopping. When I shop for wines I find that I’m driven by wine type and price, so here are a few inexpensive “all purpose” wines that you might have around. The brand I’m going to recommend for you Jay is from Beringer Vineyards, the Founders’ Estate label of wines. Beringer produces a solid line up of wines within this label. The wines within this label are true to the wine type, in other words these wines represent the varietal very well. These wines are on sale at Albertson’s right now and normally sell for $11.99 and are on sale now for $8.49, a tremendous value for the quality of wine at this price point. For an all around go to red wine I’m going to recommend the Beringer Vineyards Founders’ Estate Pinot Noir. I am also going to recommend a white wine from the same label too, the Founders’ Estate Sauvignon Blanc. Both of these wine types are balanced with their fruit and acid which means they are food friendly and will pair well with a wide variety of foods. Beringer Founders’ Estate offers handcrafted wines that are food-friendly and immediately enjoyable. Each varietal in the wide range of offerings is true to its classic characteristics, with a consistently smooth and fruit forward profile. Each varietal achieves a delicate balance of fruit and acidity, to ensure successful pairing with a variety of foods. The Beringer Founders’ Estate Pinot Noir is sourced from vineyards in the Languedoc region of France. The Mediterranean Sea running along the plains of Languedoc impart cooling maritime influences that are perfect for growing the often finicky Pinot Noir grape. Gentle winemaking techniques were used to protect the delicate qualities of the Pinot Noir grapes in order to preserve the grapes’ lush color and bright fruit flavors once the grapes were crushed. A small portion of Syrah grapes were added to provide depth and additional structure to the wine. The majority of the wine saw three to four months in French oak to highlight the wine’s toasty, brown spice qualities. Winemaker Mary Sullivan took great care to maintain the varietal’s bright fruit character in the Beringer Founders’ Estate Sauvignon Blanc. After each lot of grapes is harvested Mary uses cool fermentations in stainless steel for the majority of the juice to protect the bright aromas and crisp acidity. Mary ages a small portion of the wine in old oak barrels to lend it additional layers of complexity and fullness. The wine has characteristic Sauvignon Blanc aromas of bright citrus and flavors of ripe stone fruit, with a hint of tropical flavors at the very clean finish. This Sauvignon Blanc is one Mary’s favorites as it is immediately quaffable and charming. There is a wonderfully refreshing grapefruit flavor along with a clean grassy note that makes it an ideal for many meals and enjoying anytime the sun is out or you’re just craving some! Q. Jo Jorgenson asks how Why are there some wines (US) that I can find in some places(areas not stores) and not in others? A. WineGuyMike’s™ response; Jo in one word it is allocation. Depending on how much of a particular wine a winery has produced determines how the wine is sold. Small vineyards may only sell directly to visitors at their winery. Smaller wineries that produce more than boutique wineries may sell at the winery and into local grocery stores too. Each state that a wine is sold in the wine has been authorized by that state. As an example a vineyard like Adelsheim Vineyard located in the Willamette Valley produces about 40,000 cases of wine each year. They are big enough producers that they determine a case allocation for Montana and their wines that are sold here have been authorized by the state. Adelsheim wines may not be available on the east coast. They are not a large producer and therefore have to focus their wine portfolio utilizing a regional marketing strategy. A vineyard’s marketing plan is driven by case production and the availability of a solid distribution network. Existing sales channels that are established relationships that distribution has in place with retailers also plays a very large role in a vineyards allocation decisions within any given state. I could go on and on Jo but this is the snap shot of why you see wine in some areas but not others. Thank you for asking. This week WineGuyMike™ recommends a great Cesare salad for lunch paired with a nice glass of Hogue Riesling. Ciao Mambo has a killer Cesare salad with nice thin slices of mushroom complemented by black olives. That and a basket of their delicious bread and a glass of this nice Riesling from Hogue make for a perfect lunch. This week WineGuyMike™ is going to be answering a few of the great questions I’ve received this week. First I would like to share my New Year’s resolution with my Fans, and I’m going to start by practicing what I preach right now. I’m going to be brief, I’m going to be relevant, and I’m going to add value. Q. Karin Chimo asks; what’s the best way to use wine that went a little sour from sitting too long??? I have a bottle that was only half used, and then I got a cold and couldn’t finish it. I have opened a new bottle…do I just cook with it or what??? A. WineGuyMike™ suggests just doing the unthinkable Karin, pour it down the drain. Honestly if a wine has gone a bit “sour” it is just bad. The wine is not only sour but it is also a little bitter at this point. One of the rules for cooking with wine is to only use wine you would enjoy drinking to cook with, enough said. As we say with little regard in life these days but is very applicable here, let it go Karin, move on. You get the point my wine friend and thank you for asking. Q. Jo Jorgenson asks how important are aerators and which wines benefit most from them? Jo my reasoning is this; I believe that a low quality bottle of wine will benefit from being “whipped” and “oxygenated” by an aerator as it will bring out the best that bottle has to give. If unexpected guests show up you may feel the need to be immediately hospitable and open a bottle of wine to share with your guests. In this case I would use an aerator. Many restaurants do not offer to decant your wine for you. If they are wine focused they will have decanters and will offer to do this for you, after all they should do all they can to satisfy your dining experience. The reality is that many establishments don’t decant and I would not hesitate to ask your server to use your wine aerator. Be sure to offer to show them how to use the device, many servers may be unfamiliar with them and they will appreciate your kindness in demonstrating how to use it. With this approach they will be fully engaged in your dining experience with you. Step away from the good to great bottle of wine with your aerator, why you might ask. I don’t want my fruit bruised. I mean this sincerely if you have a great bottle of wine you have probably made some special plans around this wine event even if it is just you and your partner enjoying a great bottle of wine on a special occasion. By all means use a decanter and aerate your wine with a decanter. You will notice that when a wine is poured correctly by letting it pour into and gently grazing the side of the decanter bottle neck so the wine spreads itself onto the walls of the sphere within the body of the decanter. While pouring the wine into the decanter you will not pour the sediment from the bottle into the decanter. If you are using an aerator you may potentially blend the sediment into the wine thus potentially altering the juice from a high end bottle of wine. I hope this covers it Jo and I could drone on but must remind myself of my New Year’s resolution I stated in the beginning of my post for today’s show. Q. Kim Zacha asks; Chardonnay used to be smooth and “buttery”, now it all seems to be bitter. Has it changed that much in 25 years, or is it my taste buds? A. WineGuyMike’s™ response; Kim this is a great question that I covered extensively in my 11/03/2010 blog post. Here is the link to that show; http://wp.me/pFhHw-bH The short answer is this Kim, it is driven by trend and demand. Today’s style of Chardonnay is typically fermented and aged in steel barrels. This method produces a wine that is crisp and bold with fruit. The style of Chardonnay that you and I know and love is slightly sweet, big on as we say in New York “butta”, where’s the “butta”, or a butterscotch, perhaps a slight vanilla nuance. Kim a wine I would recommend to you giving a try is from Cambria Estate Vineyards. Try the 2007 Katherine’s Vineyard Chardonnay. The nose of this wine is deeply aromatic with apples, peaches, lime blossoms and vanilla. The palate is intense and powerful, yet surprisingly elegant and nuanced and there will be plenty of “butta” in there for you too. Thanks for asking Kim. 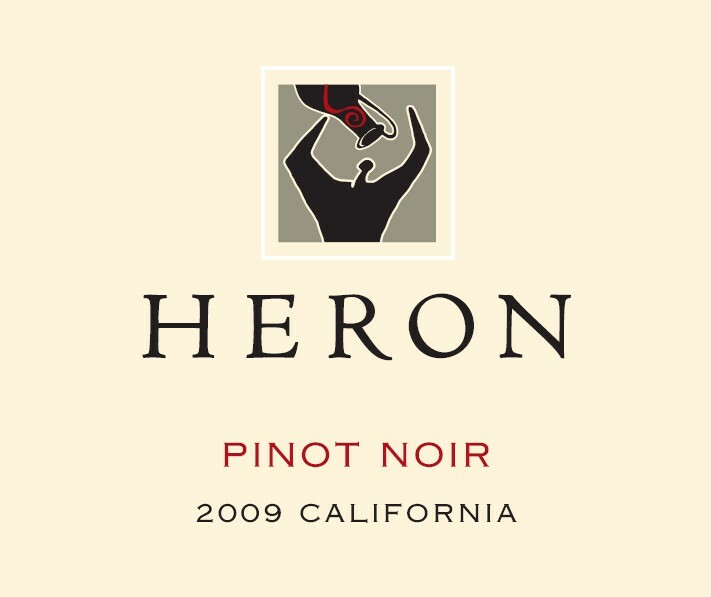 Heron 2009 Pinot Noir; this handcrafted Pinot Noir is an elegant composition of sustainably farmed grapes from several of California’s cool, marine influenced micro-climates. Ripe red berry and black cherry fruit balance its delicate spiciness. Heron has produced wines in California, France and Spain! The wine is generous on the palate with nice forward fruit and well-balanced oak — in a word, elegant. Enjoy this beautiful wine from Ciao Mambo with one of my favorite dishes the Gamberi Fra Diavolo a beautiful dish of Grilled Shrimp in a spicy roasted garlic marinara sauce served over a bed of linguini. Thank you for being a Fan and please support our Sponsors.